Well life is quite magical isn't it? 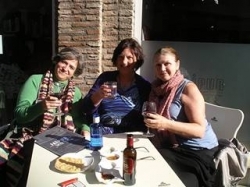 I not only had my friend and Young Living colleague Suzanne Le Quesne come over to visit so we could hold our Raindrop and Vitaflex Training here, but to carry on with our planning for next year I went to visit her in Spain. Here is a picture of us with another YL fan and very talented lady Mercedes Carbonell Sanchez-Gijan, doing some networking in Seville. As you can see I was determined to get my VitD naturally! We were delighted to enjoy a great few hours together getting to know each other before exploring the delights of the Alfalfa area and the Art Museum. Other highlights of my trip - presenting a talk on YL oils to a diabetic group, enjoying a Reiki Share morning and meeting lots of lovely people to share healing and knowledge with. Also there were the lovely walks up mountains, along the beach front and seeing the apes and their babies in Gibralta. Suzanne also took me to a fabulous golf club for lunch where the view, weather and ambience, not to mention the food, were delicious. I have been very lucky this year managing to visit not only Spain, but Glasgow, Holland and Bulgaria as well as a couple of breaks to Eastbourne for some family get togethers. I definitely have benefitted from a balance in work and pleasure! The next Vitaflex & Raindrop Training are scheduled for 25th/26th January, which we hope will be easier as it is a weekend, to fit in your diaries. Do let me know if you would like to take part and learn how to use Young Living Therapeutic Grade Oils and perform these amazing techniques to improve health and wellbeing. Next year looks to be another full one as I see the diary filling up. I have just submitted my second article to Sibyl Magazine"Is Life becoming a List?" for publication sometime next year. It has been very exciting to be asked to contribute to this empowering publication for women. I have lots of plans and will be able to think them through over the next few weeks and will let you know about some new events I am planning soon. I have been very lucky and privileged to meet and support lots of new client's this year in their journeys towards health and positive changes. It is wonderful to see someone overcome a lack of self esteem and become confident and powerful in their lives and relationships. Also there have been many cases of improved wellbeing and improved health with many no longer suffering from aches and pains, many that have plagued them for years. Also I have been honoured to help my pregnant mums manage their pregnancies and births in an empowering way as they welcome a new soul into the world. The miracle of life is always a wondrous event. 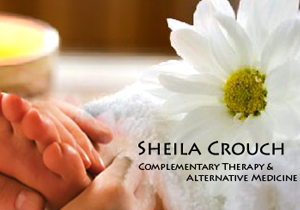 I will be at AGE UK on 20th January for any members who want to book in with me for discounted Reflexology treatments. So looking forward to seeing lots of you in the New Year. I will be carrying my Young Living Oils with me as they have stood me in good stead this year, several times I have managed to avoid catching viruses and got rid of tensions, joint pain and headache. They also make for wonderful additives to any environment with their health giving and aromatic benefits. 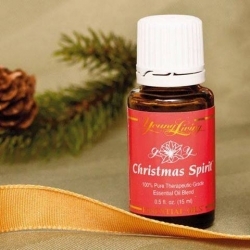 At the moment I am enjoying Christmas Spirit a mixture of Orange, Cinnamon Bark and Spruce. If anyone wants to order any oils you can contact me or call Young Living direct (01480 862840) quoting my Distributor No: 1360228. Also do let me know if you would like me to give a talk or demonstration to you or a few friends, group, etc. You can find out more about the topics under the Training/Events drop-down menu under Raindrop Training Europe. If anyone would like to share a Self Discovery, ReSOULve & Evolve Retreat next year please let me know. I am planning a 5 day retreat for those looking to raise their energy and awareness at this time using healing, meditation and self transformation tools next October. On a personal note, I have been blessed with a second grandson this year and at this time of year, it seems timely to remember how a baby brings such hope and love. So as we celebrate the feast of the family at Christmas, I hope that you will experience light and love in your hearts and pray for global peace and love on our planet as we move towards awakening and ascension. A very happy, healthy and successful 2014 to everyone and may it bring fulfillment of your dreams.